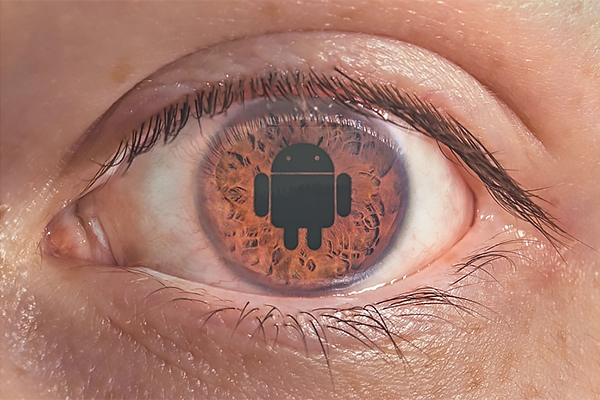 Android is the world’s most popular mobile platform, appearing on hundreds of millions of smartphones, tablets and connected devices. With such a big audience, it has managed to attract a raft of developers, allowing the Google Play store to become packed with the top gaming experiences around. Here are a few of the biggest movers and shakers in the world of online interactive entertainment that are having an impact on Android in 2018. While Fortnite may not yet be available on Android, its rival Battle Royale shoot-and-loot-em-up PlayerUnknown’s Battlegrounds has made the leap to the platform. Players can compete against up to 99 of their peers in vast arenas littered with weapon drops, gear and other items that make it easier to fight and survive. The visuals work well on mobile thanks to the flexibility of the Unreal Engine 4, while the controls are intuitive enough to keep players engaged even if they are more familiar with a gamepad or mouse and keyboard combo. Up and coming online casino platform Casumo has made a splash in 2018, with its official Android app allowing users to play entertaining slots and impressive table games from their smartphone. You can play for fun without putting any cash on the line, or dive right into the real money games, so it’s a good platform to let you test drive the casino experiences that are on offer in a risk-free way. Regular promotions and sign up offers help to draw in new players and provide good value for money, while the fun and friendly design of the app itself makes it a pleasure to use. It may have been on the market for years, but Minecraft still manages to sit pretty at the top of the best-sellers list today. Part of the reason for its enduring success, aside from the raw creativity of the gameplay, is the regular updates that are rolled out by the team at Mojang. Being able to discover new areas, build new structures with new materials and experience an unfolding landscape with your friends online, or as a solo player, is what sustains the global cult following that Minecraft has attained. This is another online-focused Android game that has been around the block but still keeps players coming back for more with its frequent, fresh content updates. It’s technically free to play, but Hearthstone is a collectible card game that rewards those who are willing to part with a bit of real cash to get hold of the latest expansions as they are printed. 2018 is the Year of the Raven within the world of the game, with The Witchwood set arriving in April and The Boomsday Project set preparing to bring the mech tribe back to the forefront of competitive play in August. A fairly recent addition to the burgeoning MOBA market, Arena of Valor is available as a five-versus-five experience on Android. Take charge of your hero of choice, team up with four other people online and try to defeat your opponents as efficiently and strategically as possible. New heroes are unleashed fairly frequently, and this is definitely a game that will appeal to those who love League of Legends and Dota 2 but want a more compact, quick experience for mobile play. The latest entry in this long running series is touching down later in 2018 and promises to bring with it the most incredible mobile driving experience available to date. As well as offering a single player career mode, it will of course come with a multiplayer mode that will let gamers compete against one another in races via the web. The name is intended to highlight the game’s main aim, which is to celebrate the successes of the franchise so far and hark back to classic tracks that fans will know and love. Such is the power of the Asphalt brand that this ninth main edition is offering people the chance to pre-register to get early access to all that it has to offer, rather than holding out until its wider release. Next story How to choose the best salon to go to?